Posted in General Health & Wellness on May 27, 2013. Last modified on January 31, 2018. Read disclaimer. As long as a person has 20/20 vision, there is no need to have an eye exam? Unfortunately, many serious eye diseases show no early symptoms. With early detection and treatment, however, one has a greater chance of protecting his or her eyesight. Changes to our vision are a normal part of aging. Losing our vision, however, is not. Unfortunately, the statistics would have us believe differently. Though Americans over the age of 80 make up less than 10% of our population, they account for nearly 70% of all cases of blindness. The good news is that most causes of blindness are preventable if detected early and treated properly. cataracts: when proteins in our eyes change, they cause our lenses to become cloudy reducing the amount of light hitting the retina and causing blurry vision, glare, double vision and poor night vision. (In some cases, the cause is simply discoloration and darkening of the eye lens.) Cataracts, which often go unnoticed in middle age but become more severe after age 60, affect more than 22 million Americans. glaucoma: the eye's optic nerve becomes damaged, most often because of fluid pressure building up inside the eye. While over 2 million Americans have been diagnosed, another 2 million are not aware they have it. macular degeneration: often referred to as age-related macular degeneration or AMD. A painless condition, there are actually two forms of macular degeneration -- dry and wet. Dry, for which there currently is no treatment, is generally less severe and much more common, accounting for 90% of all cases of macular degeneration. Dry AMD starts with blurred vision and can eventually progress to a blind spot in the center of the field of vision. Wet, also called advanced AMD, can progress quickly as abnormal, fragile blood vessels grow under the macula and often leak, causing the macula to swell. The most common symptom of wet AMD is straight lines appearing wavy. Those with wet AMD may also experience a small blind spot. With timely treatment, wet macular degeneration may be slowed or halted. More than 1.6 million Americans suffer from AMD plus another 7 million currently see fine but are at high risk of developing age-related macular degeneration vision loss. diabetic retinopathy: the leading cause of blindness among Americans and caused, as the name implies, by diabetes which can cause damage to the retina. In fact, it affects more than half of all diabetics over the age of 18. Though symptoms of age-related eye problems most commonly appear after age 60, there are steps you can take earlier which may help to protect your eyesight. Once vision is reduced or lost because of disease or injury, it can be managed but never restored. You can never be too careful when it comes to vision health; don't wait for blurry or impaired vision before taking steps to protect your eyesight. Good eats may support good eyes. Studies have shown that antioxidants found in colorful fruits and vegetables may help reduce your risk of eye problems. That's because they have the ability to neutralize free-radicals (unstable cells) which have the potential to damage our eyes and other organs. In fact, people who consume sufficient eye-healthy nutrients over the long term can lower their risk of developing advanced age-related macular degeneration by 25%. Unfortunately there is no indication that vitamin consumption can restore vision that has already been lost. Foods high in vitamin C include citrus fruits, strawberries, bell peppers, mango and broccoli. Food sources of vitamin E include nuts, seeds, wheat germ and vegetable oils. Foods high in vitamin A, closely associated with a family of compounds known as carotenoids, will be your best sources for lutein and zeaxanthin -- two nutrients that have gotten an awful lot of attention for their support of eye health. Examples include melons, bell peppers, carrots, parsley, squash, sweet potato, broccoli and leafy green vegetables like kale, mustard greens, collards and spinach. Fatty fish, such as salmon, which are rich in omega-3 fatty acids may also reduce ones risk of developing age related macular degeneration. Grab your sunglasses and a hat. We often hear about the sun's harmful UV (ultraviolet) rays and how they can contribute to cataracts, macular degeneration and cornea damage (snow blindness). What you may not realize is that the sun also emits HEV rays (high-energy visible). Also known as "blue light", HEV rays are weaker than UV rays but can still penetrate deep into the eye, putting one at greater risk for macular degeneration. Any quality pair of sunglasses should block 100% of the harmful UV rays while filtering HEV rays. And since sun-damage accumulates over one's lifetime, even young children should wear sunglasses! Don't smoke. Smoking increases a person's risk of developing most major eye diseases that can lead to blindness. Watch your weight. Belly fat and obesity can increase a person's risk of diabetes as well as diabetes-related cataracts. Protect your eyes from injury. If you may be exposed to flying objects, chemicals or other eye-damaging accidents, use protective eye wear. A liver detoxification program that's nice and easy. Anyone seeking optimal health should consider detoxification. Our bodies are an amazing machine, but like any other machine, they need a break from hard work every now and then. No matter how cleanly we eat, we are exposed to many more environmental toxins and food toxins than ever before. The best advice I can give to anyone who undertakes a detox is to start slowly, with the intention of working positive habits into their daily life instead of severe, rigid ones. Rigid habits welcome failure because they are a dramatic deviation from your body's natural routine. Detoxing is a complex game of biochemistry, as everyone is unique in genetic makeup, lifestyle and constitution. When the body sets used to "bad" foods such as caffeine, sugar or alcohol, our hormones and biochemistry change, making quitting those substances difficult. Working with our bodies instead of against them will begin to shift our biochemistry back to a manageable state, helping us to achieve our detox goals quickly and with lasting benefits. "Add the good stuff in, and the bad stuff falls away"
The easiest path to a manageable state is to use the theory of overcrowding, or more simply, "add the good stuff in, and the bad stuff falls away." The easiest way to begin overcrowding is to drink 16 ounces of room temperature water with the juice of half a lemon upon waking. This will begin to activate internal organs, alkalize your body and assist in the elimination of excess acid (I suggest drinking more water if you feel tired or have a craving). Next, eat breakfast containing healthy fat and protein within an hour of waking (even if you are not hungry). This will help to reset your metabolism and feed your adrenal glands. Great choices are: A smoothie with egg-white protein powder, ground flaxseed, frozen berries and almond milk, or a few eggs with whole grain, gluten-free toast and avocado. Remember, waking up hungry is a positive sign, while being turned off by food is a sign of a sluggish liver. Another critical step is to incorporate at least two servings of leafy greens every day. Your system will rejoice in getting nutrients it has been deprived of, and a noticeable shift will occur: you will begin to crave healthier food. A serving of greens is one cup cooked, or two cups raw, and can include kale, collard greens, mustard greens, arugula, mixed field greens, bok choy or anything leafy. Also, make certain you eat three servings of complex carbohydrates daily. Beans. whole grains like brown rice, and root vegetables like sweet potatoes are great examples. Complex carbohydrates will slow the release of glucose in your system while giving you the necessary B vitamins that daily stress and a poor diet take away. As a benefit, sugar cravings will also fall away. 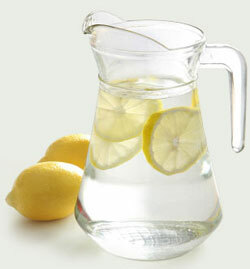 Drink warm lemon water throughout the day to cleanse your lymphatic system. 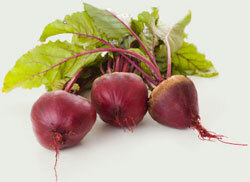 Eat beets to cleanse your digestive system, and use burdock root (roasted or sauteed) to cleanse the blood. Greens, especially dandelion, will help to cleanse your liver. Try eliminating dairy, wheat, alcohol, caffeine, sugar and meat for one week. Embrace these suggestions and you will enjoy all the benefits of a detoxification, like balanced weight, good energy, improved sleep and better moods. And don't forget to exercise and supplement with high-quality TriVita products. Happy Detoxing! Detox Tip: "Adding one green drink a day is a terrific way to get your greens, counting as one serving. You can juice your own. I love the combination of celery, kale, parsley cucumber ginger lemon and green apple."